You’ve probably noticed that superhero movie franchises are becoming a thing these days. With every new year, the number of such movies released increases. And it is not going to end anytime soon. The recent rise in superhero movie franchises is just the product of a sentiment that has been building up for ages. Throughout all time, we’ve all found ourselves intrigued by stories with heroes defeating villains, good triumphing over evil and happily-ever-after endings. We love these stories because of the much bigger picture that they paint. Or maybe this picture is all too familiar to us. Maybe we want these stories because we see ourselves in them, somehow. Stories have come a long way since … well since as far back as they’ve been around. But we don’t just narrate events in our stories. Some say our stories influence our lives. I think our lives also have an impact on the stories we tell. It’s a circularly-causal relationship between stories (art) and life. The classic ‘good-and-evil’ story thread was built on absolutes. They usually had heroes of impossibly ultimate charisma rising up to defeat villains with evil intent, monsters that were evil for the sake of being evil, in whatever form they took. The Heroes were people with good manners, good hearts, and conveniently excellent muscular form (wink). The Villains were dark and ugly to behold. Some deceiving through their words, some bruising with their might. Myths and legends of monsters terrorizing villages, and demigods rising up (or coming down) to defeat those monsters, sprang up through the ages. They filtered into fables and stories over time. These days I find that I’m drawn to stories that have believable villains. When I was younger, the villains in most stories I came across were all evil just for the sake of being evil. But these days, stories have villains that actually think, and that you agree could exist. They are actually endearing in their own creepy, demented ways. If you did not get those references, the first is by the Joker in The Dark Knight (2008), the second is from Pitch Black (the Boogeyman) in Rise of the Guardians (2012), and the last was from Marsuvees Black in Showdown (Ted Dekker). In these guys –be they good or bad guys – we see a little bit of ourselves, and that is what makes them endearing or repulsive to us. Either way, they make us interested in the story. This is what makes your story a winner: when your audience can identify with at least one of the characters, or the circumstances in which they find them. It pulls us into your story so that we subconsciously have a friend in your fictional world, heightening the reader or viewer’s senses and emotions, so that every plot point affects us almost as much as it affects your characters. Our new friend keeps us coming back for more, to check up on him or her, joining them on their journey through the pages. Storytellers (writers, filmmakers, etc.) these days have realized this secret to some extent, and that is why the heroes in our movies are a bit flawed, and no longer the ultimate models of humanity that used to be iconic. The flaws may be personality problems or just unfortunate circumstances that scar them for life, making them more human to us. Bringing them down to our level, so to speak. Peter Parker (Spider-Man) has acrobatic skills, a sense of humor, and can shoot webs, but he lives with constant guilt because he feels responsible for his uncle’s death. And his city thinks he’s a nuisance, no matter how hard he tries to convince them he’s not. Bruce Banner (the Hulk) may be the strongest there is, but he still can’t control his rage or himself. And, seriously, who wants to go out with a big green rage monster? The future only gets worse for this guy, no matter how much good he tries to do. Oh yeah. Bruce Wayne (Batman) lost his parents when he was a boy. He grew up in this dark and brooding phase that’s affected him, even as an adult. OK! That was me geeking out a bit there. Sorry. The point is that the writers make us see that these heroes aren’t so perfect after all. And we’re OK with that because, we know we’re not perfect either. We may not be so far off from these guys, after all. And if they can save the world, so can we (on a different scale, no less, but still…). But it’s not only typical of superhuman stories. Some of the more human stories show people without a chance of winning any battle suddenly rising as the hero through selfless acts. Characters like the little hobbit, Frodo in Lord of the Rings, who saved Middle Earth by taking the evil ring to the place where it could be destroyed; or Samwise Gamgee, his devoted friend that encouraged him along the way and helped him up when he was weak. We like these guys not because of their strength or abilities, but for the strength of their hearts. Now, if you’ve noticed, the best Villains are those that believe, in their own demented way, that they are actually doing the right thing. There is nothing as dangerous as a man who perpetrates evil and yet sincerely believes he is doing the right thing. The suicide bombers on the news today have taught us that. This approach to the villainous character amplifies his (or her) humanity. We loathe and/or fear them for the evil that they do, but we also understand that they’ve just been affected by something or an incident in their past that warped their sense of right and wrong. As they say, “It all takes one bad day.” Just one bad day that messed up with the rest of their lives. We empathize with them, and wonder just how the hero is going to defeat this character. Somewhere deep inside us, we hope for his (or her) redemption or satisfaction. We do not want to admit it, but it’s there. I’m not saying that these guys are good, and I’m not saying I agree with them. I do NOT. They are evil, and that’s that. But those strong stories accentuate their humanity by showing, for example, how much these guys love their own children, or loved ones. Gothel (the Witch in Disney’s Tangled) stole Rapunzel because she wanted to always look young. The girl’s hair gave her the power to prevent aging. Erik Lehnsherr (aka Magneto, from the X-Men series) is a mutant who hates humanity because he grew up among people that hated and maltreated mutantkind. His parents were even killed in a concentration camp. So his entire life is one long crusade to create a world where mutants can live free, even if humans have to be trampled on to get there. Some stories, however, dare to shatter any hope that there’s any humanity in the Villain(s) and present us with some of the darkest creatures, with no love or life left in them. They are not just evil for the sake of being evil, no. They show us just how evil they are… and it could get really dark. These are also interesting in that they show us that evil is just that: Evil, and not something to be meddled with. Deeply, dark, demented and torturous evil. It pushes the storyteller, who wants to wrap up a good story, to write a reasonable hero or a believable heroic circumstance with as much depth and power and goodness to defeat such an evil character. How the storyteller pulls this off will tell on the quality of his or her story, and on his or her heart as well. If they could get the story to such a dark point, they should be able to bring us back to light. But even these dark villains have a goal. They want devastation and destruction and death because that’s the only way they could ever get satisfaction. In his classic ‘Mere Christianity’, C.S. Lewis explained that because creatures were made by God, the Good God, that’s why they all desire something good. Be it love, or satisfaction, or a thrill, or a home. We all want good things, deep down. For Villains, it’s not so easy to figure this out. But deep beneath all their quests for power and control is a desire for something good. Our quest is supposed to lead us back to God—the Good God. But sometimes we don’t see that far. What makes the difference between a hero and a villain however is how we go about getting that good thing we desire. A good man asks. A bad man steals. A good man works. A bad man kills. The Good or evil we do is a result of the contents of our hearts. The truth is we are all Heroes in our respective stories. 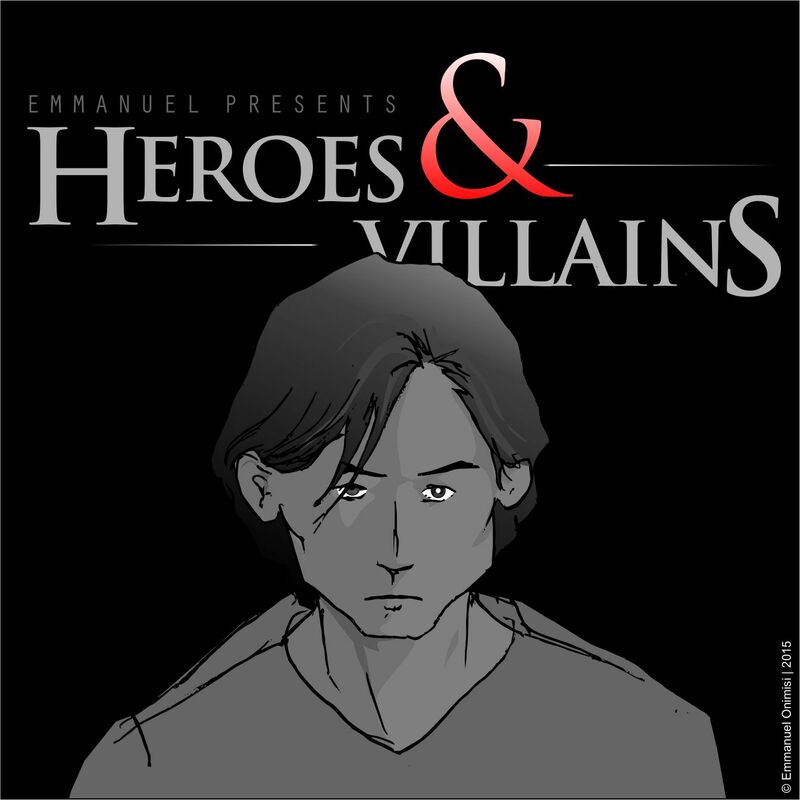 Heroes, flawed by weaknesses but still trying to do what’s right. And we fail. Time and time again. But we are also the Villains of our stories. Villains, making selfish decisions and feeling selfish emotions that tear us apart until we have attained or apprehended what we desire, no matter what we do to get it. Don’t believe me? All it takes is ‘one bad day’ to show what’s really in our hearts. When push comes to shove, how do we respond to the impossible circumstances and conflicts we face? How do we take on the battles we face without and within? How do we get those things we desire? Heroes at heart, but Villains too. This conflict we face on the inside is what pulls us toward the conflicts we see on the big screen, or in books, or even on the news. Whether the story is set in Middle Earth, or Narnia, or a dystopian future or the Victorian past, we feel we are in the same world with the characters we have come to love so much because we’ve been there before, facing those familiar struggles. How do we get that ‘Happily-ever-after’ ending that we desire? Did God put this desire for good in us and leave us to wander? Like a sick Toymaker winding his toys and leaving them to simply jerk around the room until they are simply wound out? He is the Good we want. He is the Love we’ve sought. The Freedom we’ve ever hoped to gain. He is the Spring to satisfy our souls’ deepest thirsts. The Fountain to cleanse us from all that is bane. Coming to Him for help would mean burning away a lot of pride; the very same pride we’ve built up as a defense to protect ourselves from the antagonism around us, but the very same pride that’s also killing us from within. That which we want to be cleansed of keeping us from That which would cleanse us. Not to the evil, but to God. Surrender everything that you hold so dear to yourself. Surrender all that you’ve accepted yourself to be and accept who God says you are. Surrender your will and your right to complain, to act, to live … to be. Surrender yourself. It’s very difficult, but it is the only way we can truly be free. And when we do, we find that we’d been prisoners all along. We wonder why we had not surrendered sooner. So the Hero and the Villain are at war to this very day. To this very moment. [If] you faint in the day of adversity, your strength [is] small. The ‘day of adversity’ may not be an alien invasion, but it could be something as small as an opportunity to get what you want by lying or cheating or taking advantage of someone. It could also be an opportunity to do the right thing – it depends on how you see. How do you see? The one that will rise up in that day is the one who has won in the heart. Good or Evil. We were never meant to fight this battle alone. There really is a Happily-Ever-After, my friends. It is not going to be a mushy lovey-dovey ending, but a satisfying one. And there are many confrontations and battles between now and then. But only Good can really give us the Good we desire. Only God can bring us to God. And He did. Through Christ. The battle that needed to be fought has been fought and won for us by Him already. He only asks us one thing. Just one choice can make a difference that would ring through all eternity.